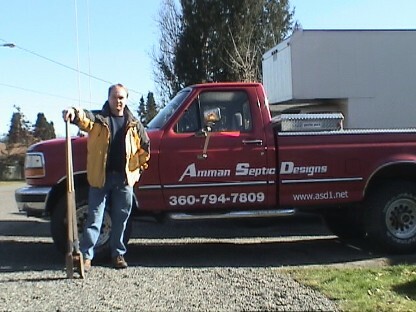 Jeff Amman, a licensed Septic System Designer since 1990, is the founder and President of Amman Septic Designs Inc.
With almost three decades of experience, Jeff can help you design the most appropriate system for your needs. At Amman Septic Designs Inc., our policy is to produce high quality Septic Designs coupled with prompt and thorough customer service. Although licensed state wide, we design only in Snohomish and King County to better serve our clients. We can design any system that falls within the Health District code. Difficult projects are one of our specialities; when everyone else says "no" give us a call. We welcome you to explore our website and call or email us with any questions that you may have. We are the only firm to disclose our prices online. Click on the tab for the county you're in for prices. We accept the following forms of payment: Cash, Check, Googlepay, paypal, and VISA/Mastercard.